Though UN has implemented various actions to repel the trafficking of illicit drugs, more and more amount of drugs is still spilling over the border. Despite the consequences, people still don’t back off from the illicit abuse and trafficking of drugs. Over the years the death tolls due to drug abuse has been significantly increasing. Not only has illicit drug been a major reason for premature death but also it has wasted the productive years of many who have fallen under its trap. Though United Nation Office on Drugs and Crime have taken various steps to minimize the abuse of illicit drugs, still rough report states that 0.6 percent of the total population falls under the criteria of drug abuse. Despite of government bodies around the world taking necessary steps to minimize drug trafficking and abuse, the issue seems to remain constant. One of its main reasons is the globalization of chemical trade which consequently has diverted the use of chemicals from legal to illegal. 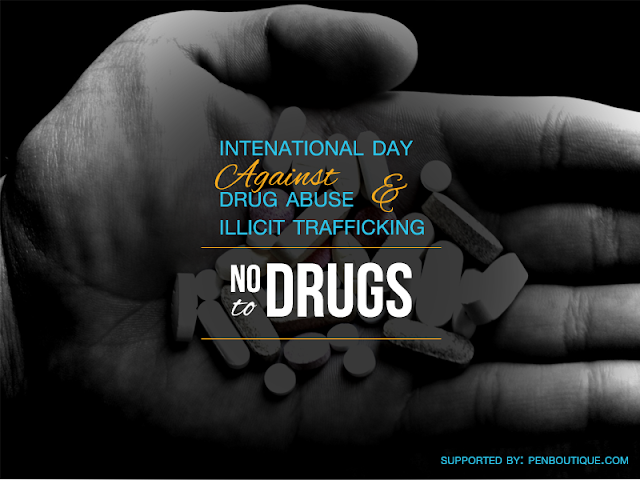 This year, on 26th of June, International Day against Drug Abuse and Illicit Trafficking let’s work towards making our world a drug abuse-free planet. Let’s create a better world.